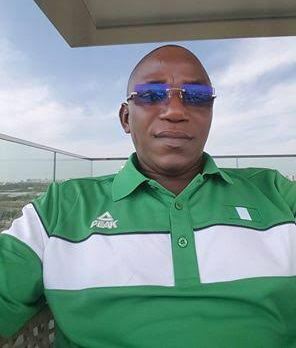 Nigeria's Sports Minister, Solomon Dalung is 52-year-old today and he shared a lenghty birthday message celebrating his life and personal achievements, via his Facebook page. Read below. Today marks another turning point in my life as I remember the day I arrived this planet called Earth. On this day a young woman had her first pilgrimage to the traditional labour room in Sabongida village in the then Resettlement Area now Langtang South Local Government Area in Plateau State.Life has not been too friendly to me as I navigate these five decades with different and challenging experiences. My parents could only give me the education they could afford which was also limited to their standard. I had to get the rest for myself, with varying difficulties alongside frustrating hardship I decided to drive it to the end. It took me nine years to study a five year law course due to unsolicited donation of four years from ASUU Strikes, from 1991-1999. I was full of joy and praises to God for realizing my ambition of been a graduate. Proceeding to Nigerian Law School Bwari was another Miracle because how I raised the huge budget of registration requirements is left to be imagined, but I remembered receiving contributions from friends, associates and kind hearted Nigerians. At least, I made the Law School and graduated and was called to Nigerian Bar as the first person to be a Lawyer in my native Local Government Area. Since then it has been from one thing to the other. From been a reformation officer to Personal Assistant to lecturing to being Chairman of Local Government back to the classroom then finally to politics. It has been life worth living but great trials full of ups and down. Being the only child of my mother, I lack the comfort of either juniors or senior siblings. Every decision is usually subjected to the armed forces ruling council of my mind. If it works fine but where it fails then I learn to live with it. This contributed much in my depending more on God than any other effort or man. The name Solomon Selcan Dalung means different things to different people. I am not admired by the elites because many detested my self opinionated lifestyle and wonder what was my source of confidence. Many see me as controversial personality while to some I am a radical. There are many who hate my guts hence referred to me as a pompous personality. Some have even expressed it publicly that I am a wicked person and there are those who believed that I am a good and kind human being. Whichever way you look at it people are free to hold opinions about you but my request is that people should be honest enough to express same opinions when I finally bow out. Please do not come and lie on that day or sing hypocritical praises of me. Despite all odds God has been faithful to me in all trials. He had proved to me that He is God. In my mind every day I say thank you Lord. I would have venture into celebrating it this year as the society would expect but ironically the economic reality does not encourage it. Instead of organizing celebrations spending so much in the name of my birth, I am appealing to all those who love me to kindly show love to other people who are in need by assisting with anything your mind convinces you do. It could be food or foodstuff to anybody you know is in need that will be the greatest birthday gift. All those rushing for expensive and customized birthday cards are also advised to deploy the money into charity, I will appreciate more. Fo me I will preferred to die with my ideas because I had travelled with them all through these years. I will concentrate on promoting peace, justice, love and equity in our society. I will re-dedicate my life to preaching religious harmony amongst Nigerians and also ensure that I serve my country selflessly having been given this opportunity. The secret of my life is forgiveness and it has been my source of strength. I always put everything behind me and move on with life. I stand with Nigerians during this period of hardship and pray to God to grant us the grace of overcoming it. I love you all and God bless Nigeria.